With spring right around the corner, you want to make sure your senior has enough fun things lined up this season to help ward off boredom and prevent loneliness. 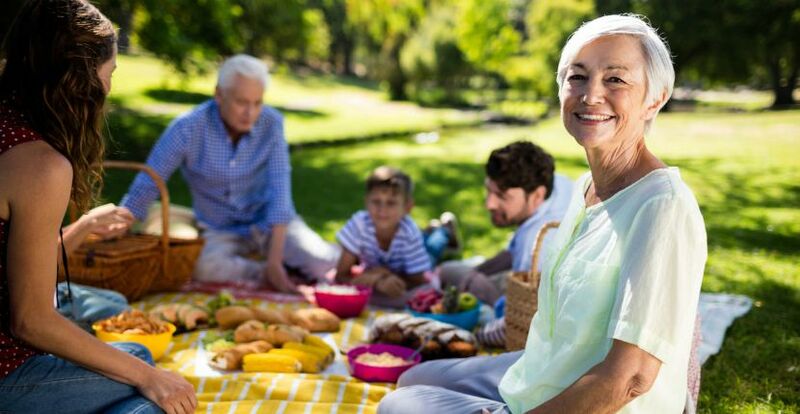 And with warmer temperatures right around the corner, your loved one is once again able to enjoy all of their favorite outdoor activities – and maybe even try a few new ones. In fact, being outdoors, your senior gets a healthy dose of vitamin D – necessary for proper development of the brain, bones and muscles. Doctors say sunlight is also helpful in improving mood and cognitive function, while offering mental and emotional health benefits and encouraging social interaction. Depending on your loved one’s level of activity, there a number of things they can do that are not only entertaining, but rewarding as well. Freedom Home Care came up with a few ideas below. Picnics are something the whole family can enjoy. Planning the place, preparing a meal and even taking a trip, give seniors the chance to bond with loved ones and build memories that last. Fishing is one of America’s greatest past times – and with good reason. Fishing is a natural stress reliever. Many people enjoy spending time in the mountains on their favorite river or lake, experiencing the serenity that comes from being one with nature. Finding the perfect spot to cast a net is only part of the fun. The rest is time spent interacting with your surroundings. If your senior has problems with mobility, there are a number of areas that can accommodate wheelchairs. Check with your local park and wildlife organization for accessible locations. Sports bring people together. And what better way to cheer on children or grandchildren than by going to a football, baseball or soccer game. Don’t stop there. Peruse the internet to find out when the next pro football game is in your area and then bring the whole family. You don’t have to be an out-of-towner to sightsee in your own city! There are tons of parks, events and attractions right in your own backyard. Contact a community center near you to find out what senior-friendly events are happening around town. If you need compassionate, reliable services from a professional home care agency for your loved one, Freedom Home Care can help. Our friendly staff is especially trained to meet all of their health care needs. Give us a call today.